That was Make Munich 2017 – the most comprehensive Make Munich ever. 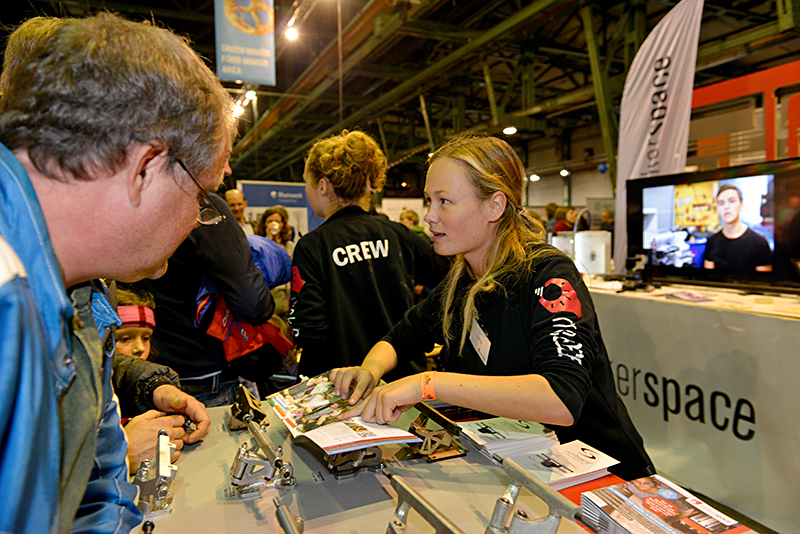 130 exhibitors, more than 70 workshops and 44 lectures on two stages awaited you. Since 2014 Make Munich has grown into a festival for future to touch. With areas like the virtual reality area, where you can play with everything, the biohacking / citizen science area and a lot of music projects at creativity, arts & sound, we set the focus and bring future developments to the festival. Newcomers and experienced inventors meet here. We offer the annual platform for the meeting of the scene in Southern Germany. By the way, I really liked your fair. Also the spirit and the mix of people. It's something so pleasantly different from what you're used to, than such a hermetic designer cluster. The nice thing is that you can actually talk to the engineers and technology freaks as a designer quite well, and also perceive your own profession in the mix much more than something useful, wherever the potential exactly may lie that is definitely in there. 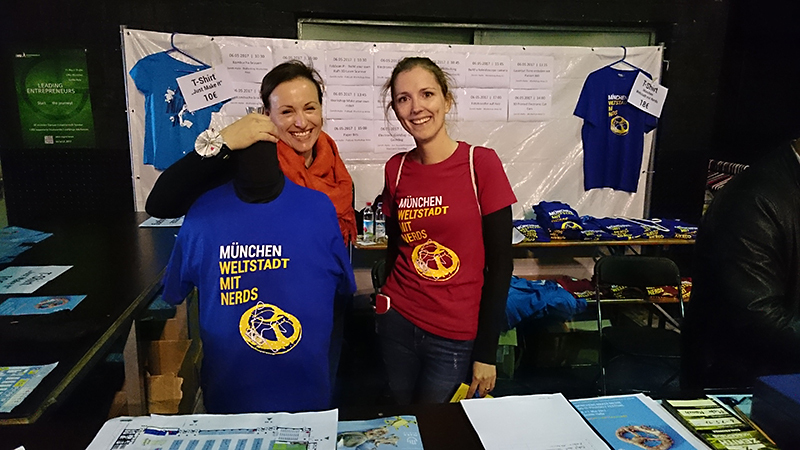 The Make Munich was the ideal stage for us to interact with potential customers, interested makers and professional networkers. The show provided us with unexpected insights into required content and potential USPs. We were even able to get an initial price acceptance and clearly evaluate our customer benefits. As you can see, the trade fair is really popular. And we think that this is a sign of the times. Many people want to improve something. They want to change something as a counter-movement to our throw-away society. 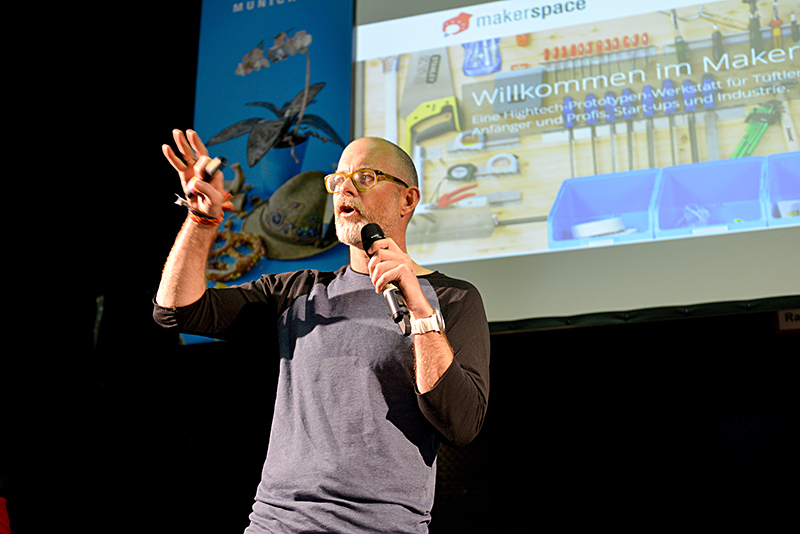 130 exhibitors, over 70 workshops and 40 talks – the 4th Make Munich showed that the maker movement is as broad and diverse as never before and was able to present numerous new trends of the scene. 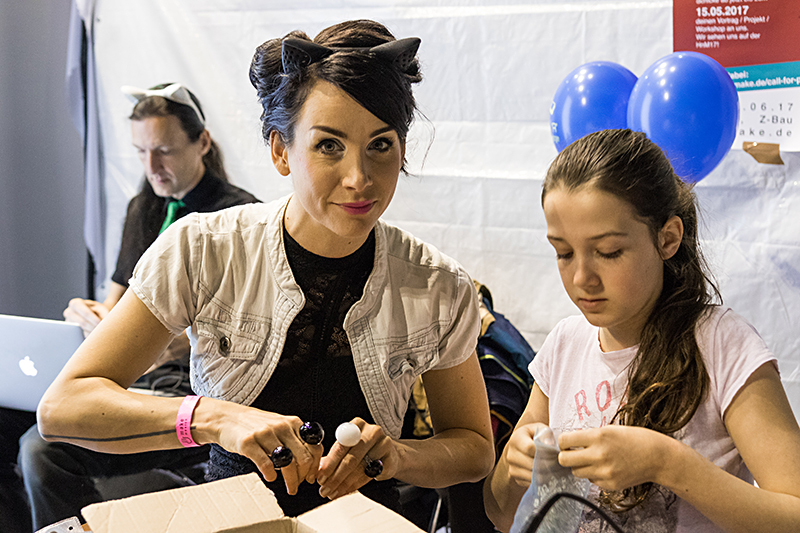 Approximately 8,000 visitors and participants informed themselves about the latest developments in 3D printing, IoT, microcontrolling, rapid prototyping, open knowledge, virtual reality as well as the latest phenomena of the scene such as biohacking and citizen science. Visitors especially commended the good atmosphere and the variety of exhibitors with a well-balanced mixture between starter topics and ambitious visions to touch. Remarkably, groups such as Infineon, Intel and Audi have already discovered the huge potential of the maker scene and were represented at the fair with large stands as well as electronics retailer Conrad and other industry giants and numerous start-ups that could finance ideas by crowdfunding. With topics such as design & crafts, creativity & art, sustainability & food makers and many interdisciplinary, visionary projects, Make Munich also achieves a different public awareness. 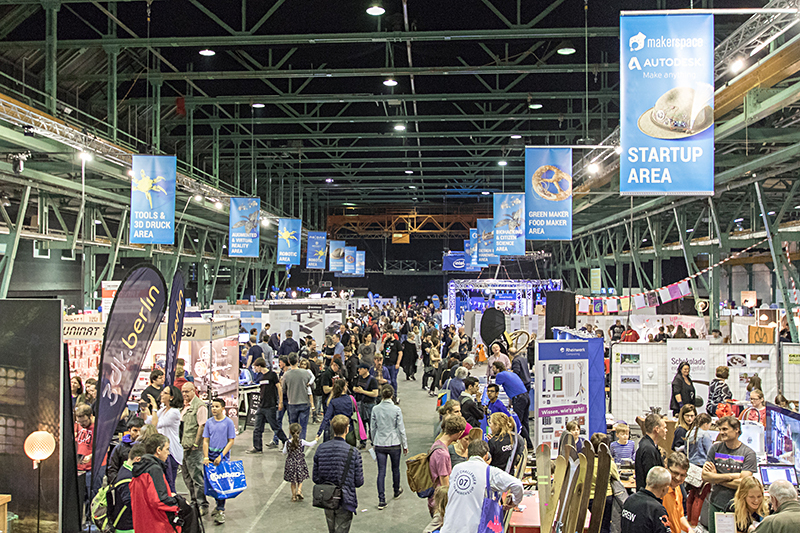 While at the first Make Munich events the proportion of male makers and participants was almost 90% and women were rather an exotic minority, the gender ratio in the scene in 2017 has risen to 50:50. Never before have there been so many female makers at the fair. The fair has also developed into a real family event. 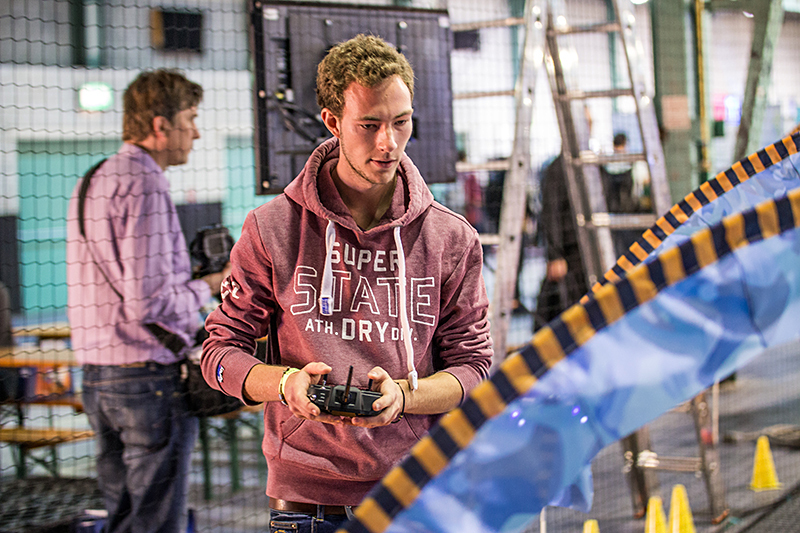 There were numerous workshops for the kids, from soldering courses to robot tinkering to virtual reality simulations, which delighted the youngsters. 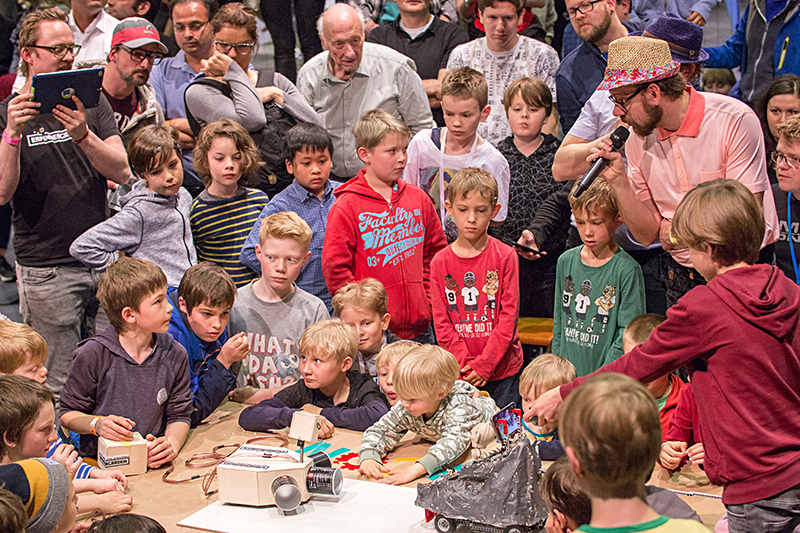 The numerous lectures on various topics of the maker scene were well attended. Highlights of the program can be watched again on the Make Munich Youtube Channel. A tour through Make Munich 2017, who is your favourite exhibitor?